The School of Russian and Asian Studies (SRAS) offers a Jewish Studies Abroad program in Poland. More information can be found on the SRAS website. 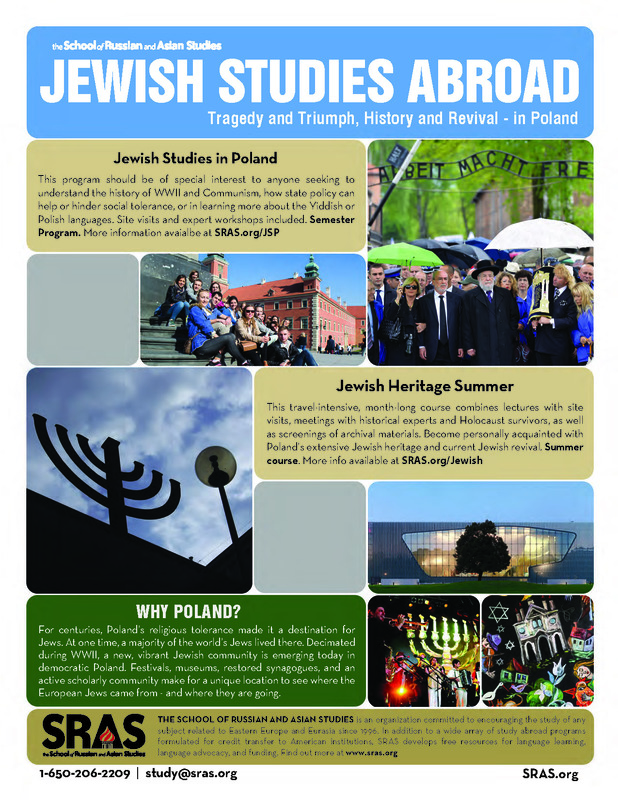 Currently, SRAS offers a comprehensive Jewish Studies in Poland program during the Fall and Spring semesters. This program takes place at Collegium Civitas in Warsaw. You can stop by the Jewish Studies office or send an email to JewishStudies@ku.edu for more information on study abroad opportunities. For information on study abroad programs in general or scholarships and financial aid, visit the KU Office of Study Abroad.